Helly Hansen have been organising The Beauty and the Beast trail running marathon since 2012. The event is a great platform to showcase the latest training collection and affiliates Helly Hansen within the running community. After identifying the need to step-up their social media presence and engage the audience in order to attract a higher number of entrants in 2014, we devised a coordinated social media strategy. Through a series of campaigns, we successfully encouraged the target market to engage with the brand. 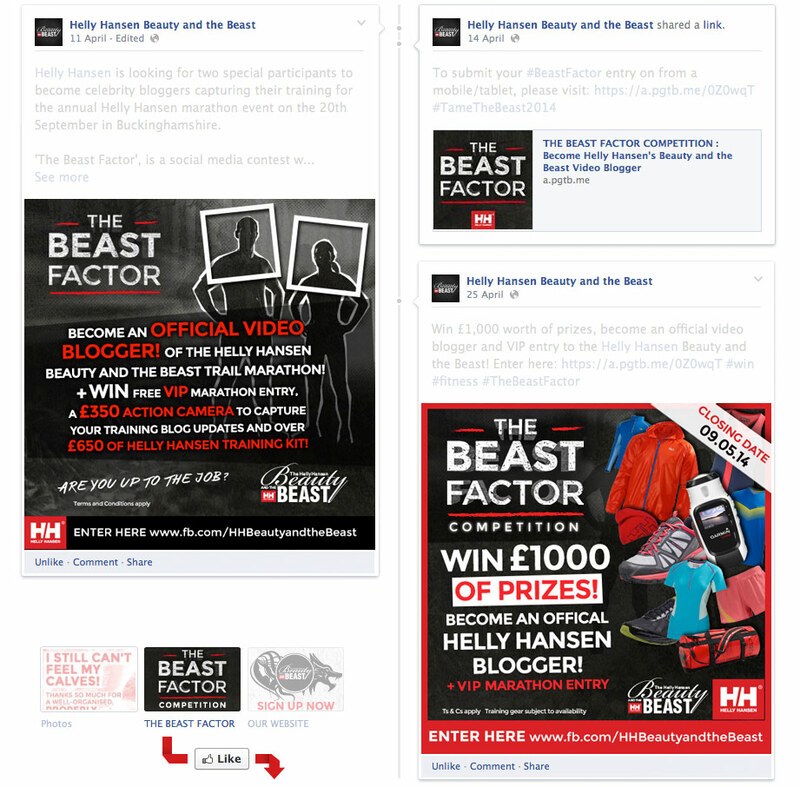 Within six weeks of the Beast Factor Facebook campaign, the Facebook ‘Likes’ had already increased by 70% and the individual posts were averaging a 300% reach increase. Throughout the implementation of the social media strategy, ‘Likes’ had increased 145%. 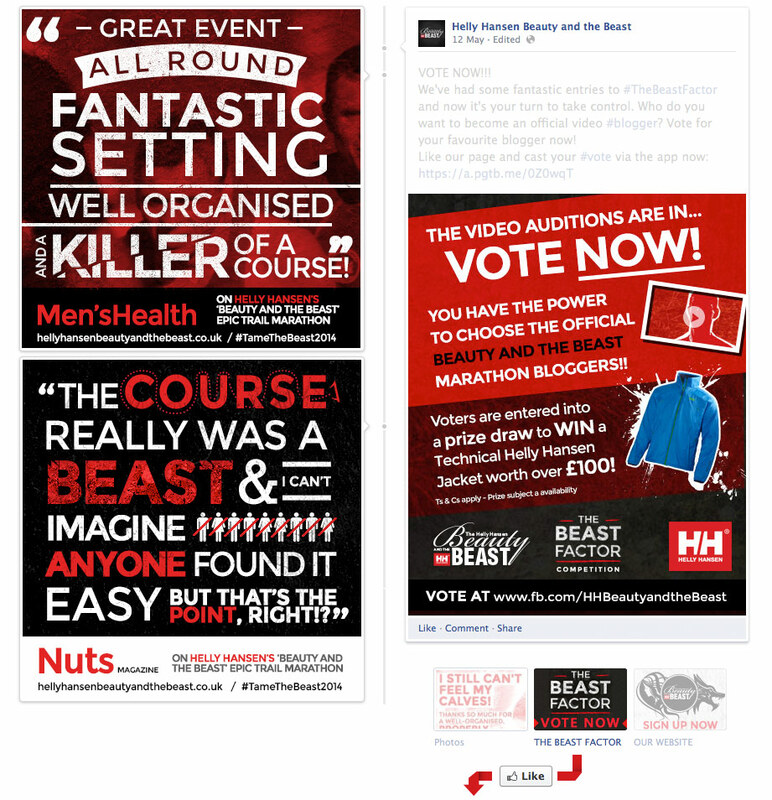 The Beast Factor social media campaign was just one element in our social media strategy used to drive interest in the event. 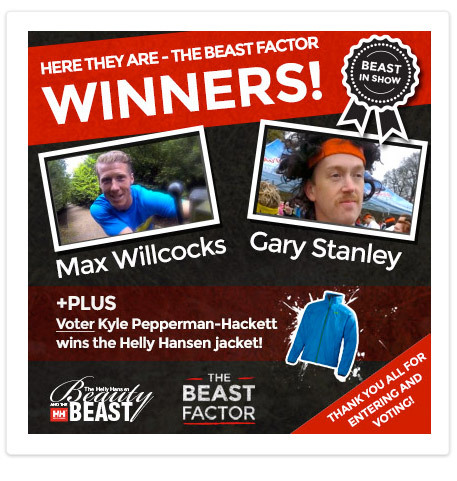 We asked the community to audition to be the official video bloggers of Helly Hansen’s Beauty and the Beast, charting their training up to the event. By uploading and submitting an audition video via a Facebook App, the community would then vote on their favourite, with entrants encouraging their friends to vote. The campaign was designed for maximum organic ‘shareability’ and user generated content.